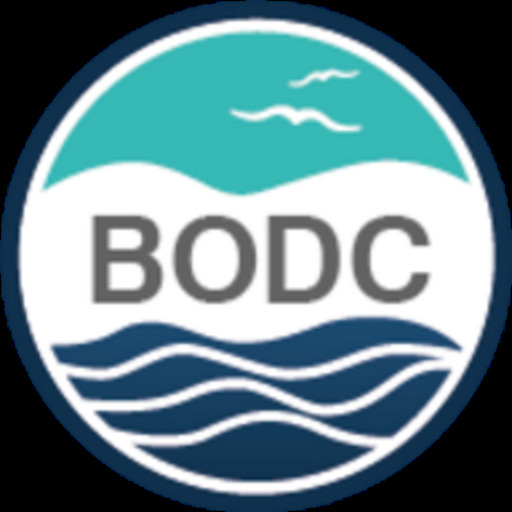 We are proud to announce that Dr Roy Lowry, Technical Director of the British Oceanographic Data Centre (BODC), has received a prestigious Achievement Award from the International Oceanographic Data and Information Exchange (IODE), part of the UNESCO Intergovernmental Oceanographic Commission (IOC). Established in 1961, the IODE programme has grown through the hard work of hundreds of experts from around the world to become an active global network of data centres and information centres. Since 2009, IODE has bestowed Achievement Awards in order to express special appreciation of those experts who have contributed time and effort to the programme. In the 1980s the General Format 3 (GF3) was developed. This provided a generalised formatting system for exchange and archival of data within the international oceanographic community. The software package, GF3-Proc, written by Roy to accompany this first attempt at interoperability, was a major undertaking. Later, Roy's efforts were spent on compiling integrated data sets from major multidisciplinary oceanographic field programmes for UK, European and international projects. This included leading the Joint Global Ocean Flux Study (JGOFS) Data Management Task Team and involved substantial work on developing controlled vocabularies. Controlled vocabularies went on to become one of Roy's main areas of interest and impact. In particular, over the last 10 years or so, he has focused on the development of semantic infrastructure in terms of both technical and content governance. He was part of the joint IODE and International Council for the Exploration of the Sea (ICES) Study Group on MarineXML, he instigated and led the IODE Steering Group on MarineXML and set up the SeaVoX email discussion forum for vocabulary content governance. Under Roy's tutelage in the semantic arena, a lot of progress has been made. Roy is responsible for the semantic framework that underpins the EU SeaDataNet project (which includes IODE) and has led the ontologies work package for the EU Open Service Network for Marine Environmental Data (NETMAR) programme. Finally, we must mention Roy's influence on the emerging subject of data publication and citation. He has played a leading role in workshops and case studies concerning the joint project established between the Scientific Committee on Oceanic Research (SCOR), the Marine Biology Laboratory / Woods Hole Oceanographic Institution (MBLWHOI) and IODE to investigate this topic. 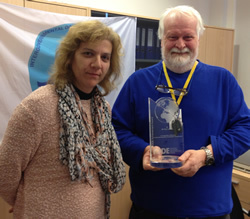 Fittingly, Roy was presented with his award at the first Ocean Data Interoperability Platform (ODIP) Workshop, hosted by the IODE Office in Oostende in February 2013.